Prof Şen was born in 1968 in Zonguldak Eregli, Turkey. He completed his primary and high school education in Ereğli. He graduated from Istanbul University Faculty of Law in the period of 1990-1991 and his postgraduate studies were carried out in Institute of Social Sciences of Selçuk University. In 1998 he became a law doctor and assistant professor. In 2004 he was involved in researches at Lüneburg and Hamburg Universities in Germany and in 2005 he wrote a book entitled “Change in the Working Conditions in Labour Law”. He received Associate Professor in 2006 and Professor title in 2011. In 2013, she was involved in research at Belmont University in the USA and was involved in a summer school program. Between the years 1992-2009, he worked as an academician at Selçuk University, Atatürk University, Erzincan University and Erciyes University in various stages and titles. 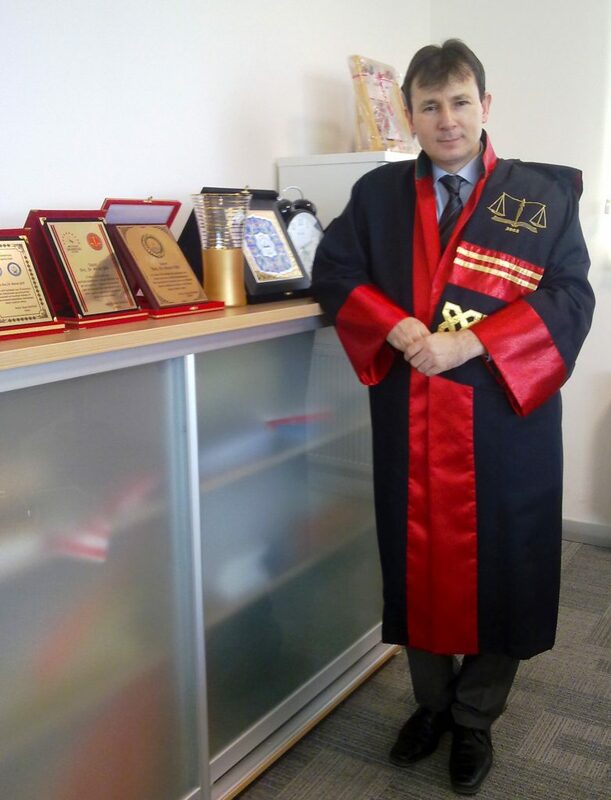 Between 2007-2009, he was deputy dean of Erciyes University Faculty of Law. He served as deputy of the Faculty of Law of Melikşah University between 2009-2016. Professor Şen, who is fluent in English and Arabic, has taught undergraduate, graduate and doctoral degrees in Labour Law and Social Security Law at Melikşah University and Erciyes University. Şen has presented more than 60 papers national / international conferences and scientific meetings. He wrote 7 books and more than 70 scientific journal articles. And he has served as a manager and moderator in so many programs. He is the founder and editor of e-academy (www.e-akademi.org), a first and foremost monthly internet journal in Turkey’s field of law, economics and political sciences. Professor Şen also served as editor-in-chief and editor-in-chief of many journal in the field of law. Prof Şen has been the Official Mediator of the Ministry of Labor and Social Security (Kayseri, Kırşehir, Nevşehir region) since 2009. He was elected to the membership of the Interuniversity Board in 2013. In 2015 he was elected a member of the International Academy of Comparative Law, one of the foremost prestigious institutions in the world’s legal profession. He knows how to install and use computer systems. Şen was interested in taekwon-do sports. Between 2004-2007, he served Taekwon-do Federation as the Provincial Representative of Erzincan. He likes swimming. He likes to play chess, football, volleyball, table tennis and tennis. She likes to listen to music and to participate in social activities in the professional field. Professor Şen is married and has three children.